Statements can mean a lot of different things and can be used for different purposes. Take for example, a mission statement talks about an organization’s sole purpose, scope and operations. Aside from that, there are also statements that show the financial performance and capabilities of an organization or business. Statements that aim to show the transactions with a client over a specific time frame is called a billing statement. This type of statement is far from most statements, such as personal statements and impact statements, because rather than stating effects, billing statements show transactions involving money. Impact statements are different from billing statements. Although both are statements, they cover very distinct information. So, what is a billing statement? Billing statements are reports made at the end of each billing period containing a client’s charged transactions, the balances from the previous billing statement, the amount to be paid within the current billing period and all other information about client and the service provider. A billing statement is considered as a summary writing for all those transactions charged under a billing period. 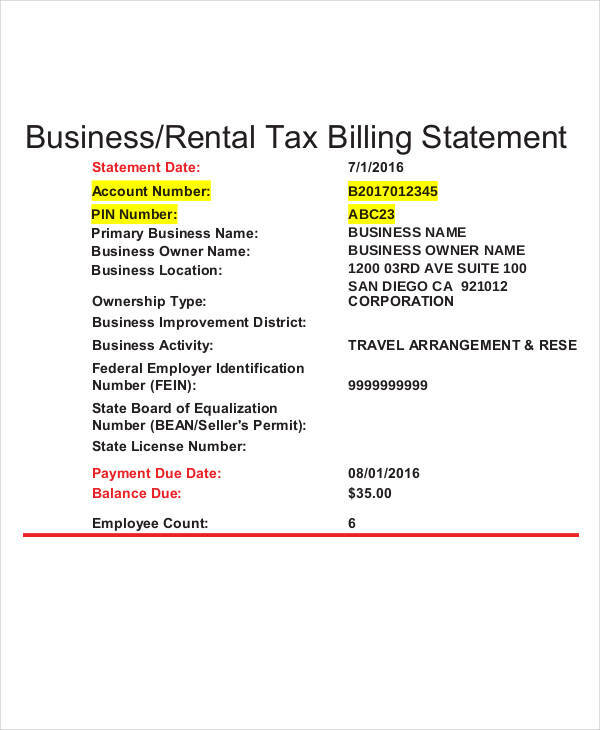 Although billing statements hold the same purpose as invoices, these documents are very distinct. 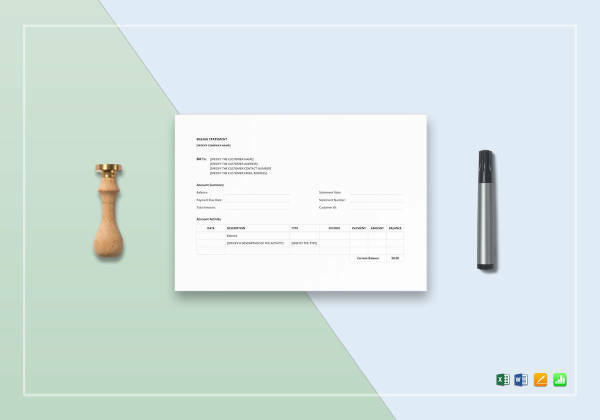 Simple Invoices and billing statements both show how much a client owes their supplier. Looking at it from afar, both look the same. But they are not. So how do these two differ? Invoices are created when individual sale transactions are made. 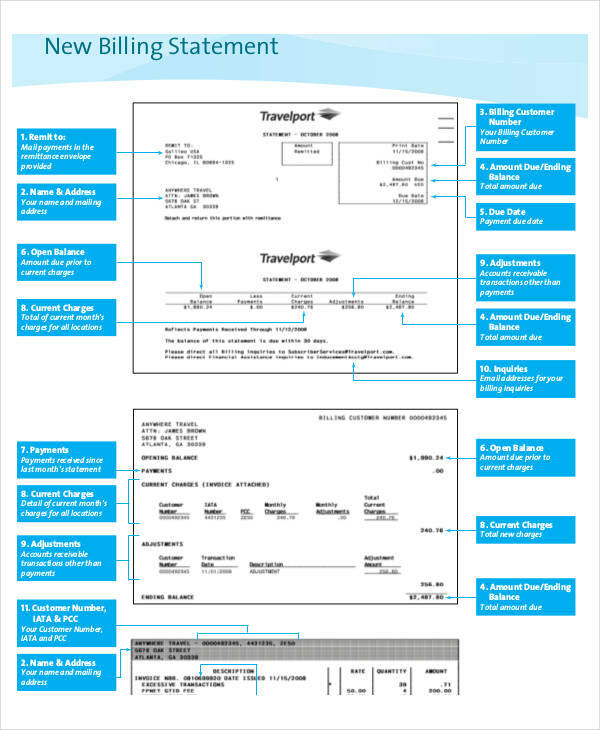 Invoices are usually issued when customers haven’t paid a for a product or service. It can only account for those transactions made individually. On the other hand, billing statements are made after a certain billing period. Billing statements usually deal with services that require payment, usually within a monthly period. The existence of bills may be meaningless for others. However, bills are not only papers that tell you how much you owe, but are a record of all the activities or transactions made by an account during a specific period. 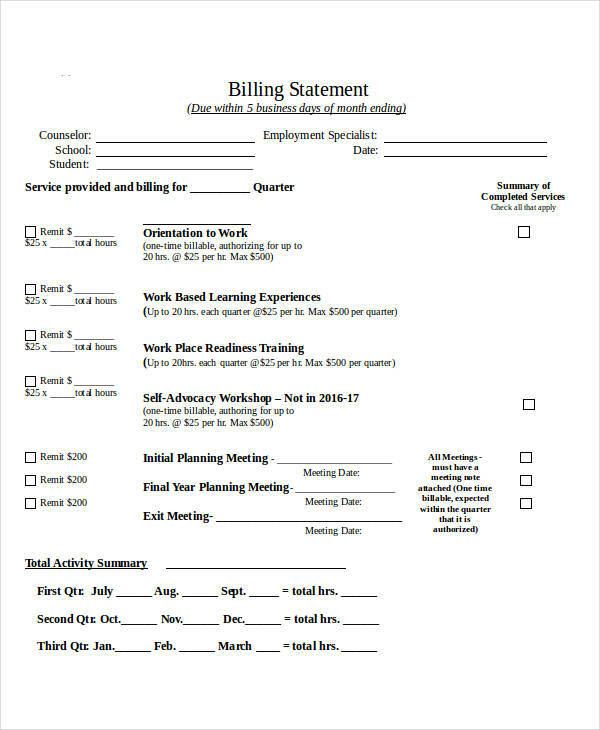 Billing Work statements show the end-user what they have taken advantage of for the period. Bills remind the clients of all their actions regarding services, additional orders, or an acquisition of any product. 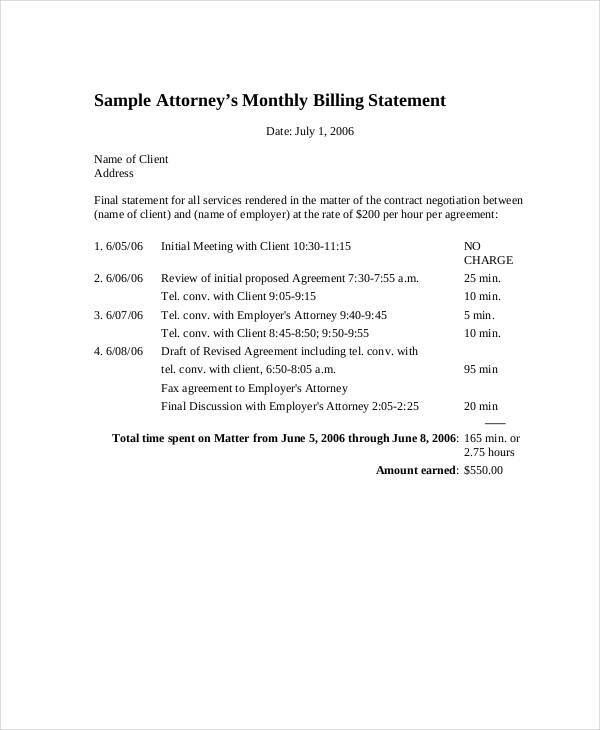 Bills reflect the action made by the client, and with every activity made is a charge in exchange for that service. 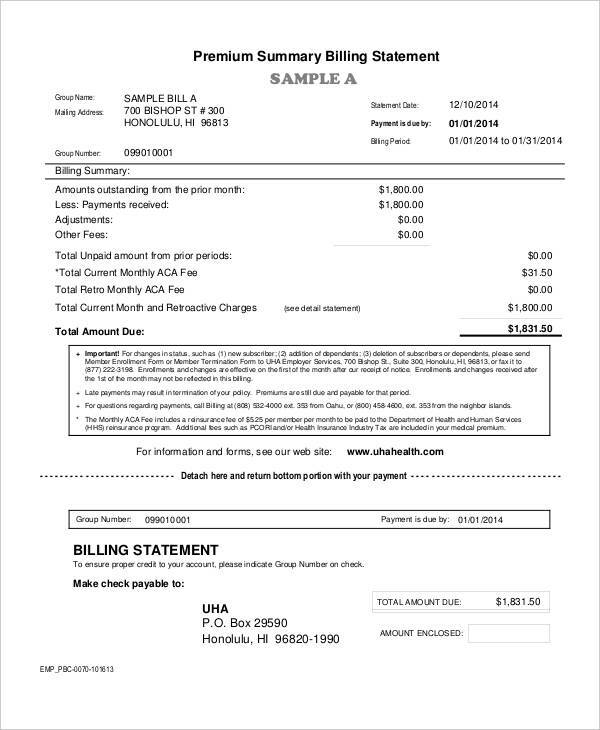 Upon receiving the billing statement, the first thing every person would look at is the balance due to be paid. This is normally what people would be concerned about and that is the main purpose of having bills — to determine how much you will pay. But how do you read a billing statement analysis? It is simple and easy. Billing statements are cumulative records, therefore, past balances are carried over to the succeeding period. 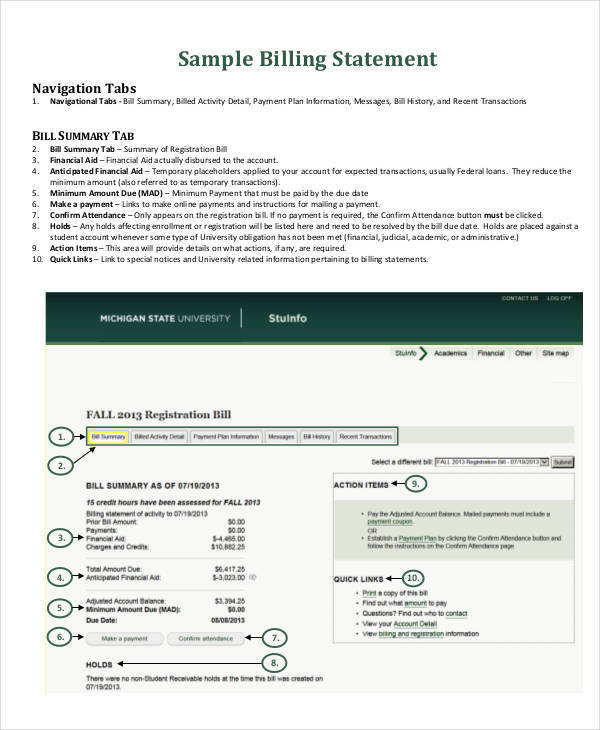 As you notice, some billing statements come with directions on where to find a specific information. 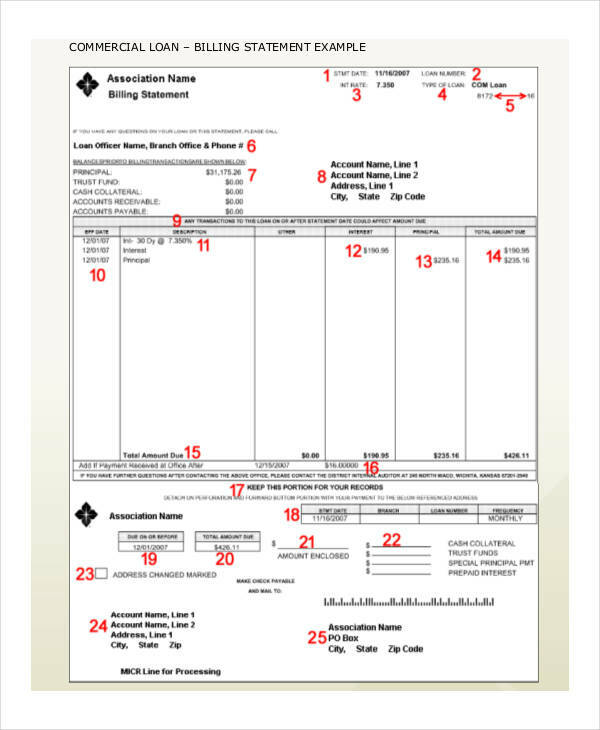 Information in the bills are grouped accordingly and are usually labeled by parts.